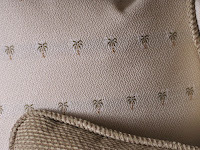 I found this great quality jacquard palm tree fabric and just fell in love with it. 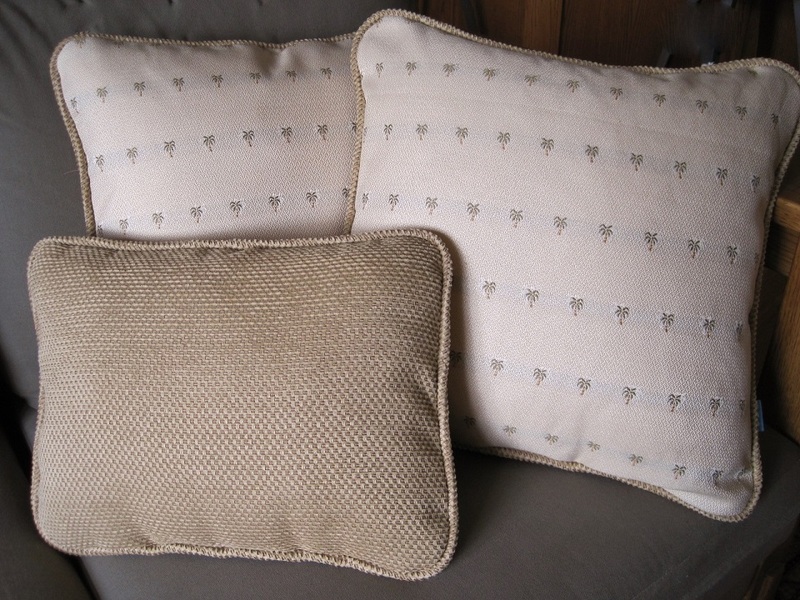 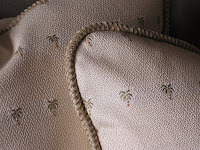 I love the little embroidered palm trees and the fact that the colors are so neutral. I think this print could fit in almost anywhere. I then found this chenille for the piping which I was really thrilled to see that when I used it on the bias it looks like woven stray which is perfect with the palms! 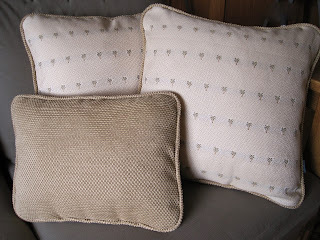 I made a couple of the rectangle pillows as accents.